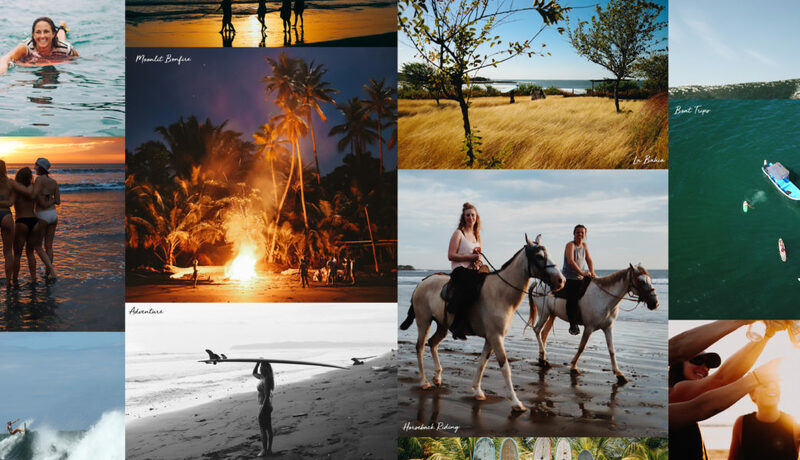 An all-inclusive surf and yoga retreat for adventurous women to support and inspire each other in surfing and in life. 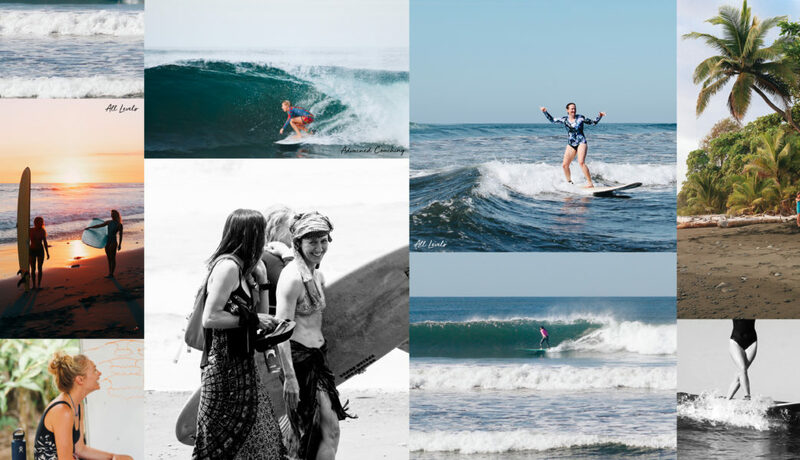 Whether you are ready to catch your very first wave, become more confident in the water, transition to riding a shortboard, cross-step on a longboard, or get barreled, our surf coaching program and team of experienced lady instructors will help you achieve your goals. We welcome all ages, body types, and skill levels. 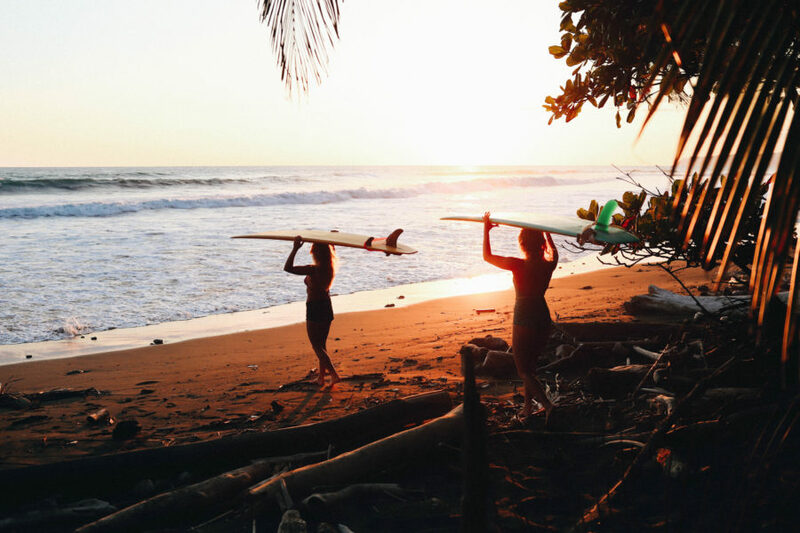 Our priority is getting you into great waves, and giving you the tools to become a better surfer in an incredibly positive and supportive way. Our coaching program includes beach lessons, in-water one on one assistance, “classroom” sessions, and video coaching. We currently host retreats at a variety of locations including Northern and Southern Nicaragua, and Costa Rica. Surfing and Yoga is the perfect combination to align your body and mind. The gentle movements, stretches, and breathing techniques of yoga are beneficial to improving your surfing abilities, as well as healing and preventing injuries. We will practice yoga daily in an open-air studio overlooking the ocean or in the middle of the jungle. Our sessions are Yin restorative focused, a slow-paced, meditative style of yoga, aimed to promote relaxation, circulation and release. Our certified yoga instructors tailor each class to the special needs of surfers, and ensure practice is being executed in a proper manner. You will leave each class feeling relaxed, inspired, and rejuvenated. At Surf with Amigas we are surfing addicts, but even we know that life and travel are not simply about catching waves. We love exploring our surroundings, immersing ourselves in the local scene, and trying wild and crazy new things. 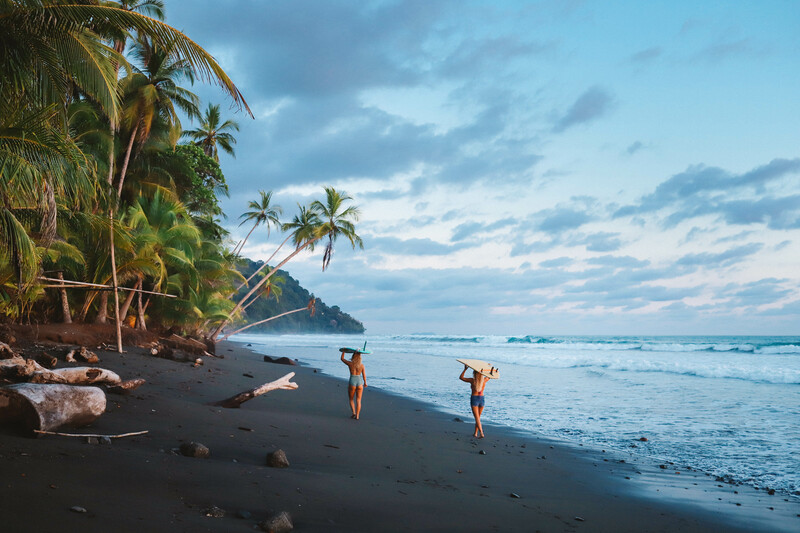 We’ll get your adrenaline pumping as we gallop down the beach on horseback, hike to hidden waterfalls, or fly deep through the jungle on ziplines. We’ll meander through the streets of local cities, shop at outdoor markets, and sample the traditional cuisine. We’ll even have a beach party complete with delicious tropical cocktails and an epic bonfire. With us, every moment is an adventure, and you never know what we’ll be doing next!